The service was professional and the service was excellent. 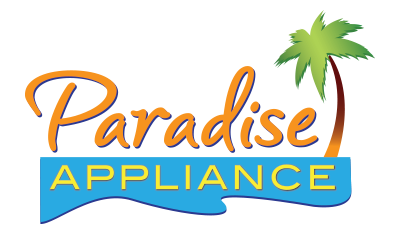 I would recommend Paradise Appliance for your needs. Thank you. Overall a good experience. Doug was knowledgable and experienced. Quick to arrive, quick to repair! Ramon did a great job. He diagnosed the problem and fixed it. He did a neat, quick job. Friendly..Came when they were supposed to..Explained what was wrong and needed to be done. We appreciated the friendly tech who came to our residence,and knew how to do her job with efficiency and ease.Thanks. REFRIGERATOR WHIRLPOOL WRS571CIHZ00 adjust door hinge and bottom grill. door is closing ok and grill fits correctly. DRYER MAYTAG n/a Dryer not plugged in outlet fully. Reconnected the dryer firmly. OVEN WHIRLPOOL WGG745S0FS02 Replaced the regulator-gas valve assembly and leak tested all joints. DISHWASHER KITCHENAID KDTE204GPS0 "i shwed to male about the rince aid in manual, it was empty." REFRIGERATOR KITCHENAID KRFF507ESS01 replaced main control and checked for cooiling functions. REFRIGERATOR WHIRLPOOL WRT541SZDW00 Customer defrosted the refrigerator and temperatures are normal now. MICROWAVE IKEA IMH205FS0 "primary interlock switch failed and fuse is blown. Replaced the switch and fuse and tested operation. ; used 1 W10727360 (SWITCH), and 1 W10138793 (fuse) from stock"
RANGE WHIRLPOOL WFG505M0BS3 "replaced front right burner head. tested for correct flame. ; ordrng 1 W10881749ds (cap-burner), used 1 WPW10515455 (R & L front burner heads) from stock"
DRYER WHIRLPOOL WED4850HW0 "Voltage out of outlet missing 120 volts,on 240 side informed customer that he needs an electrician. unable to check dryer without proper voltage"
DISHWASHER WHIRLPOOL KDPE234GPS0 silverware rack not running wel put 1 wheel back on place now open normal. RANGE WHIRLPOOL AGR5330BAB3 Replaced the surface burner switch harness. RANGE WHIRLPOOL WFG525S0HV0 "installed part , n ow its ok"
RANGE WHIRLPOOL WFG525S0HV0 "replaced broken door hinges, now working closing ok."
RANGE WHIRLPOOL WFG505M0BS3 Oven burner not lighting found shut off valve in the off position. Placed shut off valve in the on position. REFRIGERATOR WHIRLPOOL WRS321SDHZ00 "Not dispensing ice, checked, ice and water dispenser working normal but ice bin is broken, Please mail out ice container, customer will install. ; ordrng 1 WPW10558424 (ice container DS)"
DRYER MAYTAG MGDB765FW0 "found rattling noise comming from motor drive, needs parts replaced. ; ordrng 1 WPW10508324 (motor-drve) and 1 WPW10349492 (blower wheel) and 1 W10837625 (pulley-mtr)"
WASHER MAYTAG MVWC565FW1 "ran test thru entire normal cycle, was unable to verify complaint of washer running for 2 hours, advised cust working ok."
DRYER MAYTAG MGDX655DW2 replaced bad gas coil used spare part #WPW10328463 ran test working ok.
REFRIGERATOR WHIRLPOOL WRS321SDHZ01 "0:00, dispencer motor stuck again-replaced test good." WASHER WHIRLPOOL WTW8500DC0 "replaced bad noisey gearcase leaking oil, ran test working ok."
REFRIGERATOR WHIRLPOOL WRT311FZDW01 "lubricated hinge but stil makes some noises when open and close, customer has a few botles heavy, i explained that is the reason. she's not happy with the answer." DRYER WHIRLPOOL WGD5000DW3 "unable to verify complaint of stains inside drum, no issues found ran test working ok"
REFRIGERATOR WHIRLPOOL WRT134TFDW00 it was 9 deg. raized temp. control. WASHER MAYTAG MVWB765FW1 "cust says unit does not spin clothes dry, checked drain pump, presssure hose, unable to find any issues advised cust working ok."
WASHER WHIRLPOOL WTW8500DC0 "found noisey gearcase in spin cycle, needs new part. ; ordrng 1 W10811956 (gearcase) and 1 W10447979 (rotor)"